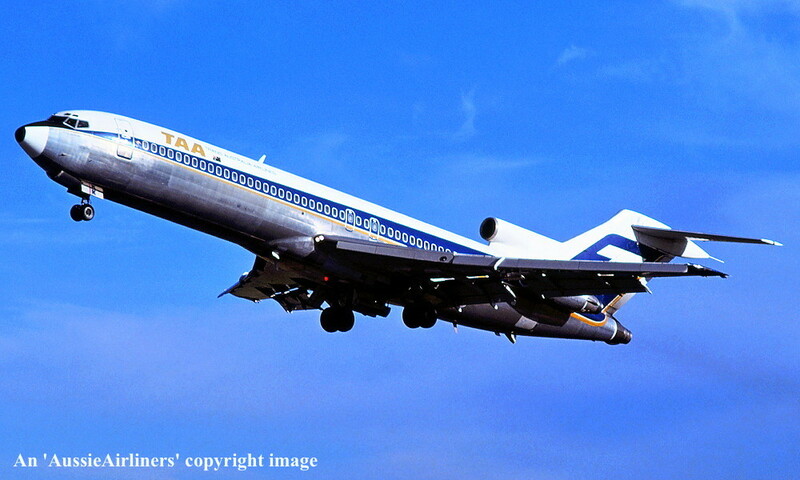 VH-TBK. 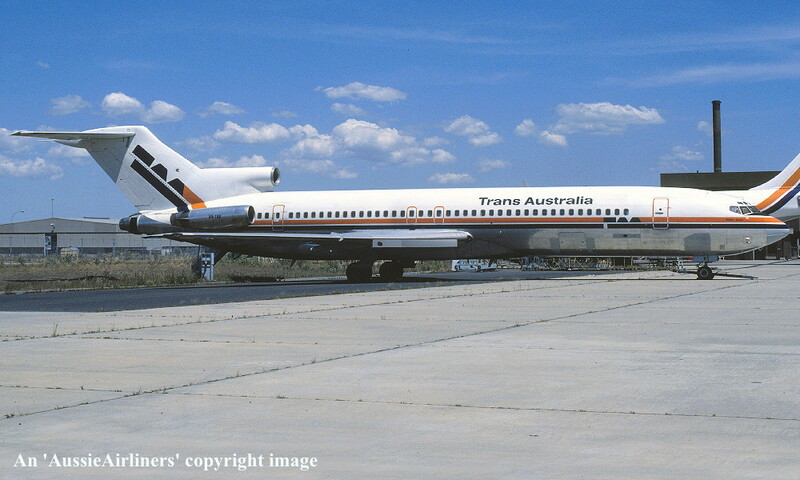 Boeing 727-276A. c/n 20950-1081. 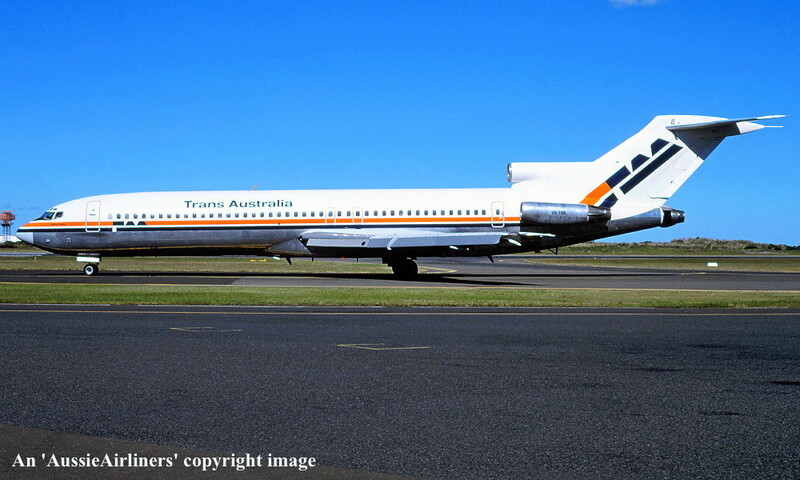 This aircraft was the first of two additional airframes ordered new by Trans-Australia Airlines - ? VH-TBK. 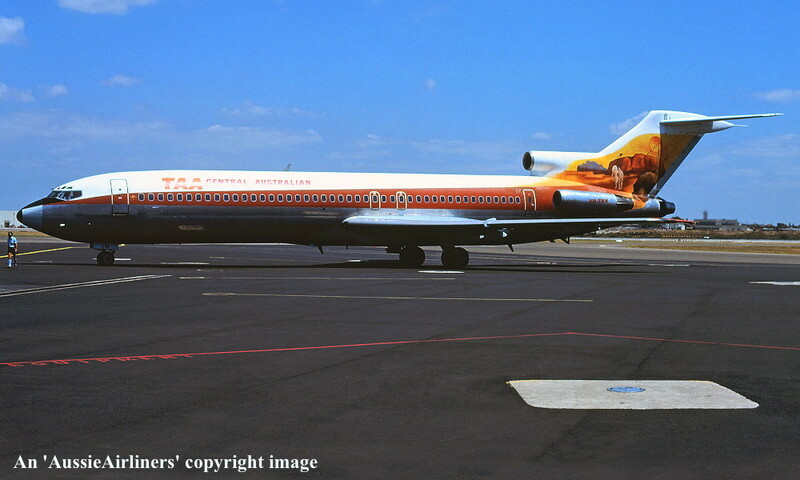 TAA Trans Australia Airlines - 'John Falkner' in the original livery at Sydney Kingsford Smith Airport, January 1979. VH-TBK. 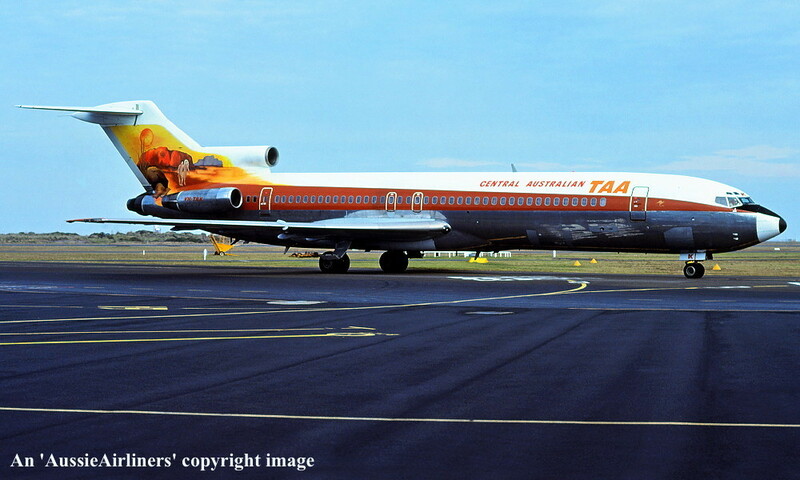 TAA Trans Australia Airlines - 'John Falkner' in the original livery at Sydney Kingsford Smith Airport, February 1979. VH-TBK. 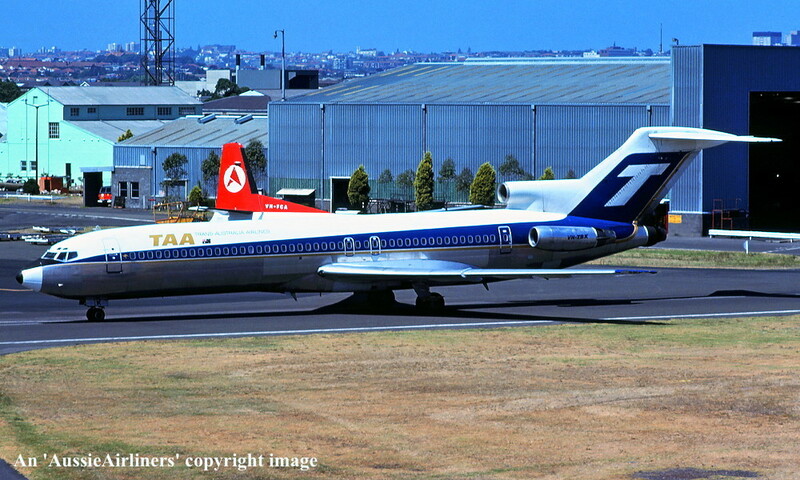 TAA Trans Australia Airlines - 'John Falkner' in the original livery at Melbourne Tullamarine Airport, May 1979. VH-TBK. 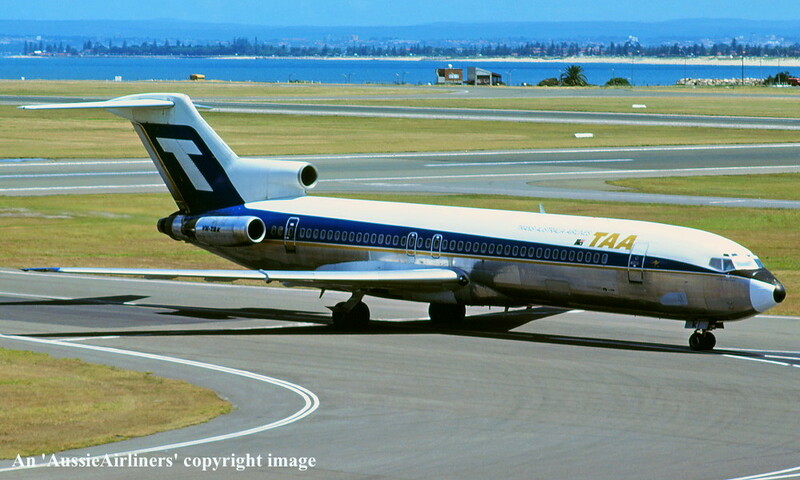 TAA Trans Australia Airlines - 'John Falkner' in the original livery at Sydney Kingsford Smith Airport, May 1979. 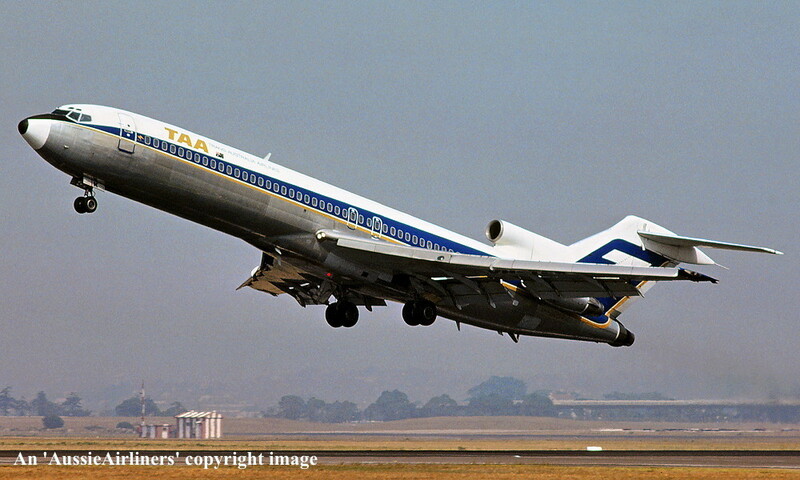 VH-TBK. 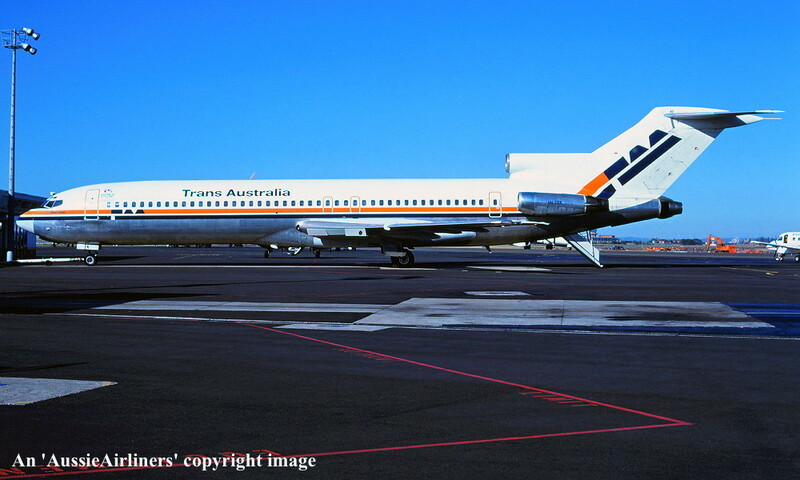 TAA Trans Australia Airlines - 'John Falkner' in the original livery at Sydney Kingsford Smith Airport, January 1980. 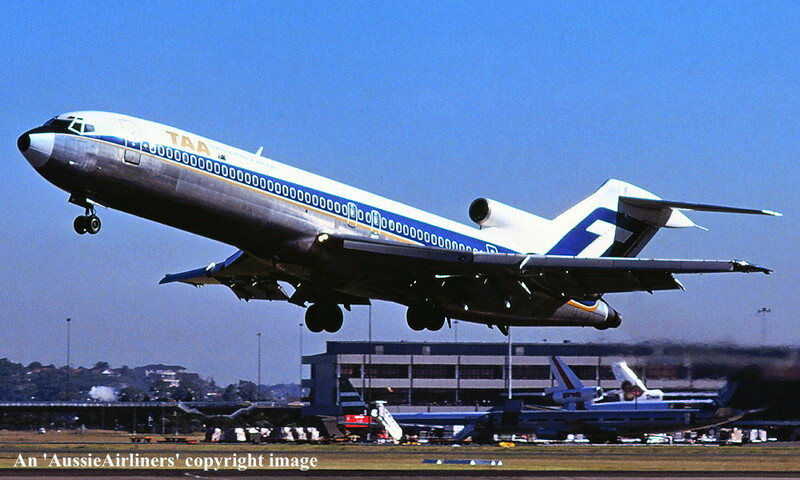 VH-TBK. 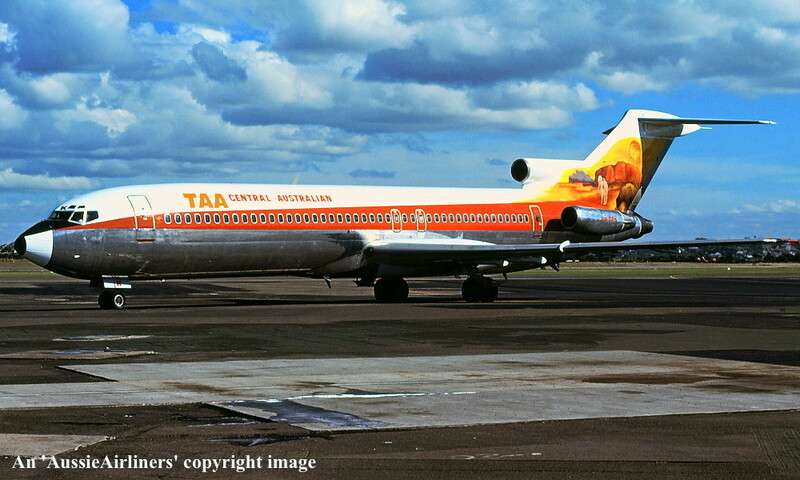 TAA Trans Australia Airlines - 'Central Australian' in the special livery at Sydney Kingsford Smith Airport, April 1980. VH-TBK. 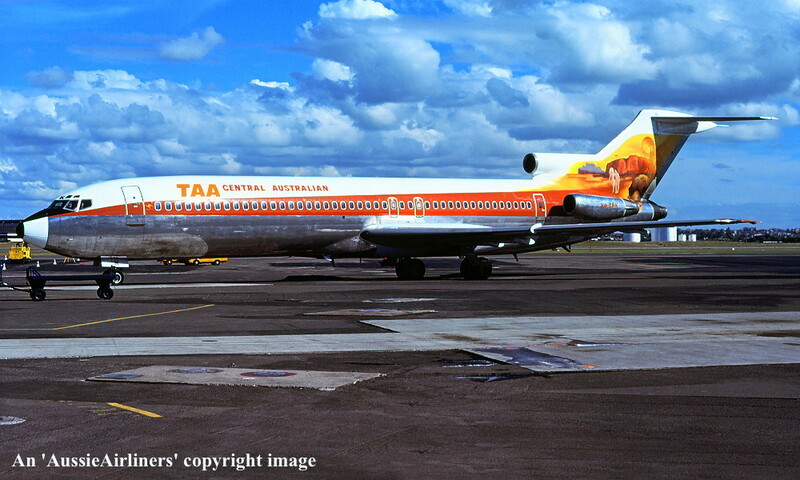 TAA Trans Australia Airlines - 'Central Australian' in the special livery at Sydney Kingsford Smith Airport, May 1980. VH-TBK. 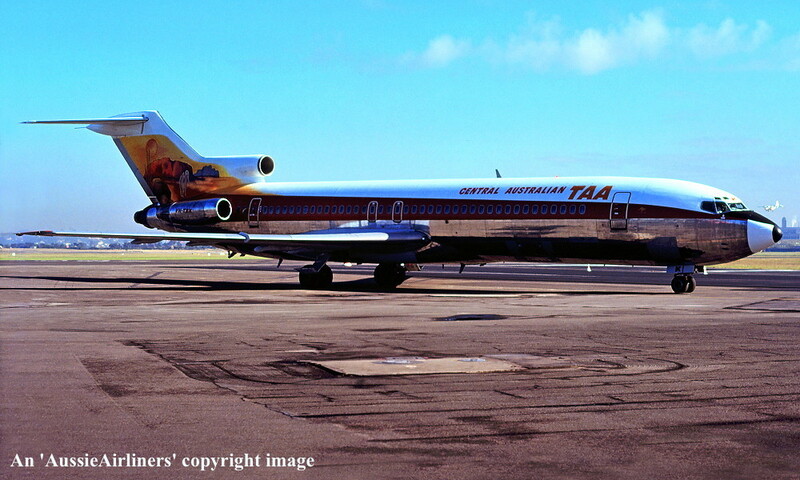 TAA Trans Australia Airlines - 'Central Australian' in the special livery at Port Moresby Airport, June 1980. VH-TBK. 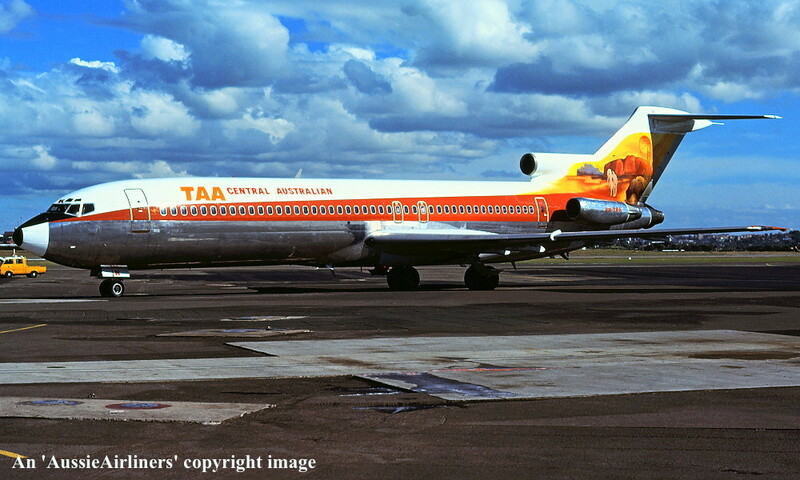 TAA Trans Australia Airlines - 'Central Australian' in the special livery at Sydney Kingsford Smith Airport, August 1980. VH-TBK. 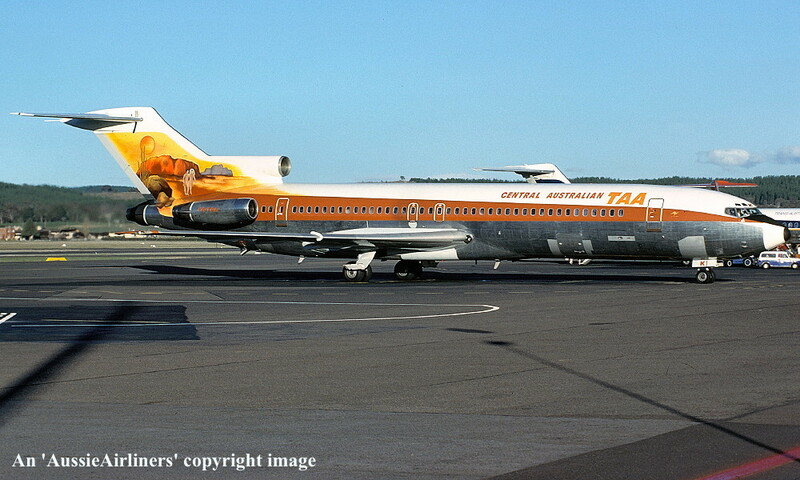 TAA Trans Australia Airlines - 'Central Australian' in the special livery at Canberra Airport, September 26, 1980. VH-TBK. 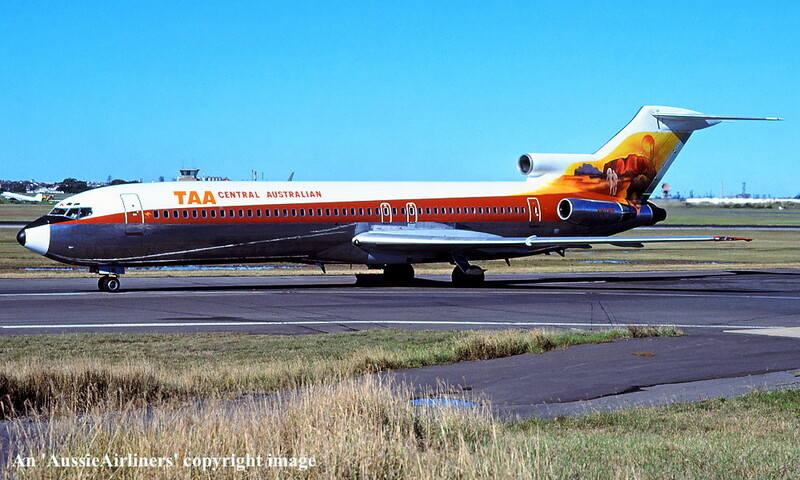 TAA Trans Australia Airlines - 'Central Australian' in the special livery at Sydney Kingsford Smith Airport, December 1980. VH-TBK. 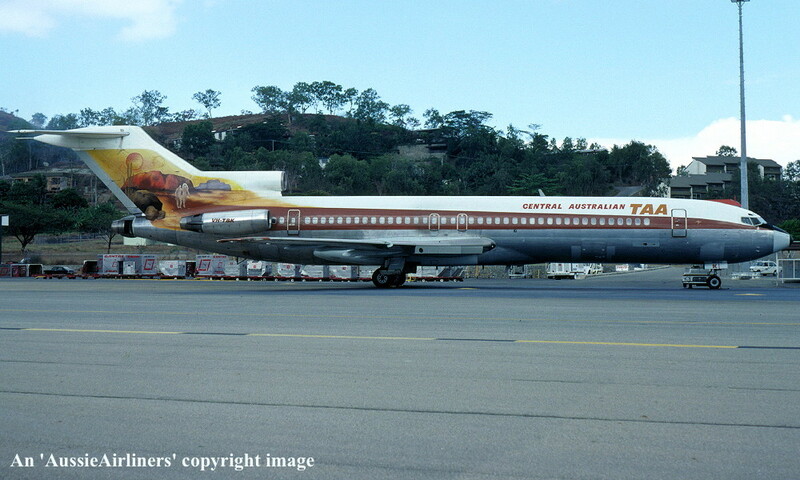 TAA Trans Australia - 'William Gosse' in the 'camel hump' livery with additional 'America's Cup' titles at Sydney Kingsford Smith Airport, April 1984. VH-TBK. 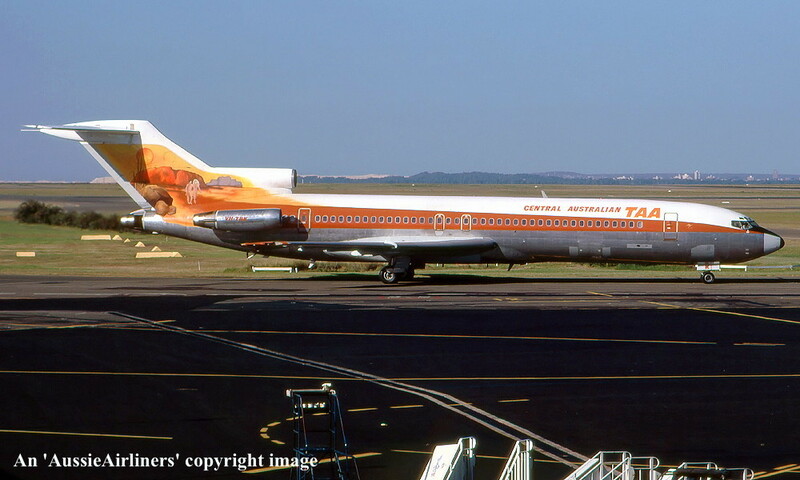 TAA Trans Australia - 'William Gosse' in the 'camel hump' livery at Sydney Kingsford Smith Airport, June 1985. 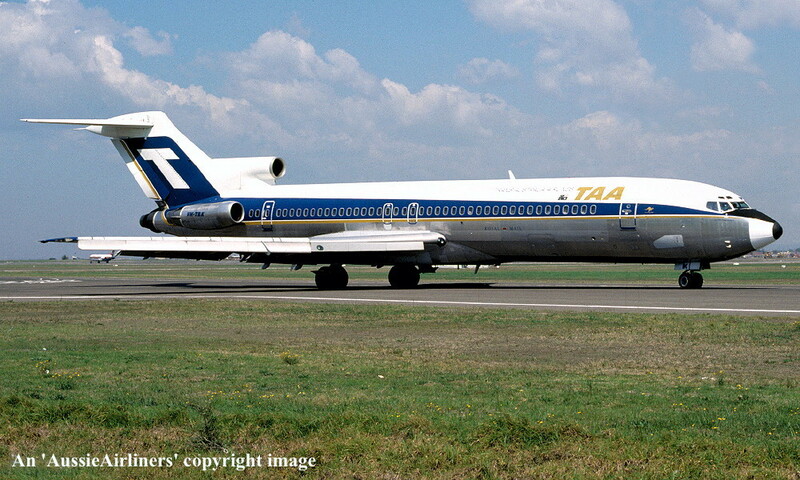 VH-TBK. 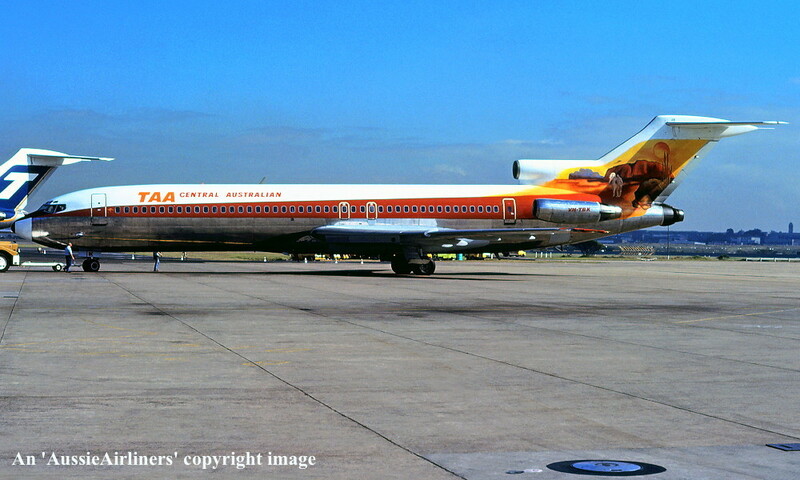 TAA Trans Australia - 'William Gosse' in the 'camel hump' livery at Melbourne Tullamarine Airport, October 1986. G-BNNI. 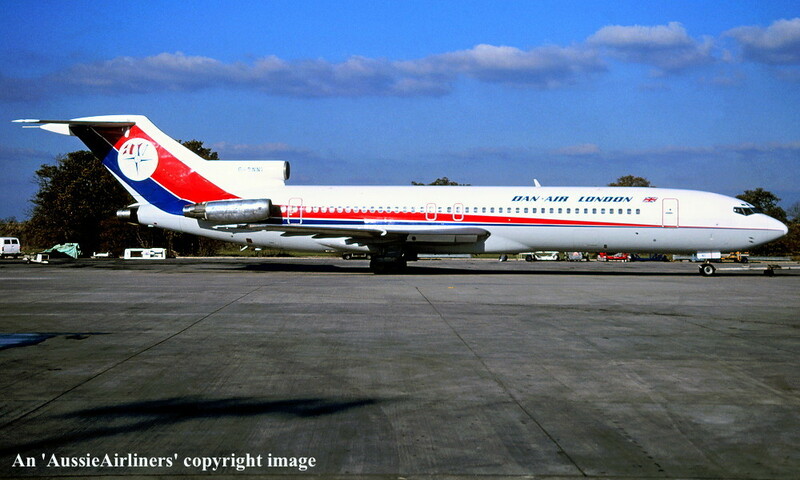 Dan-Air London - in the standard livery at an unknown airport, July 1987. 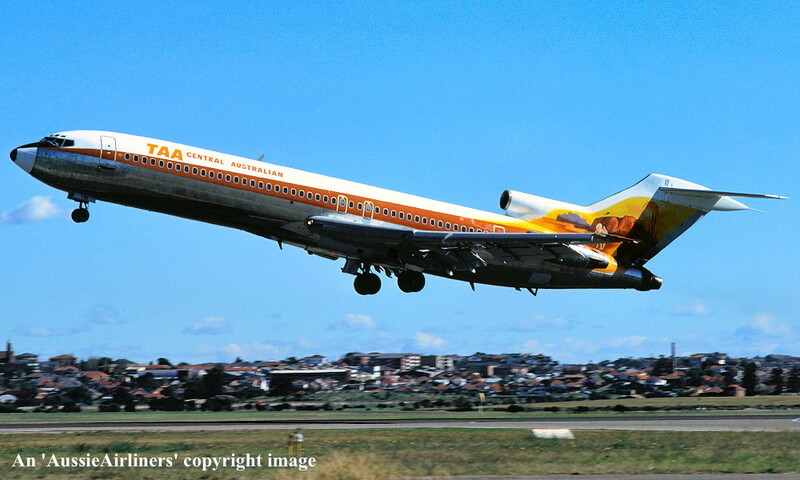 G-BNNI. 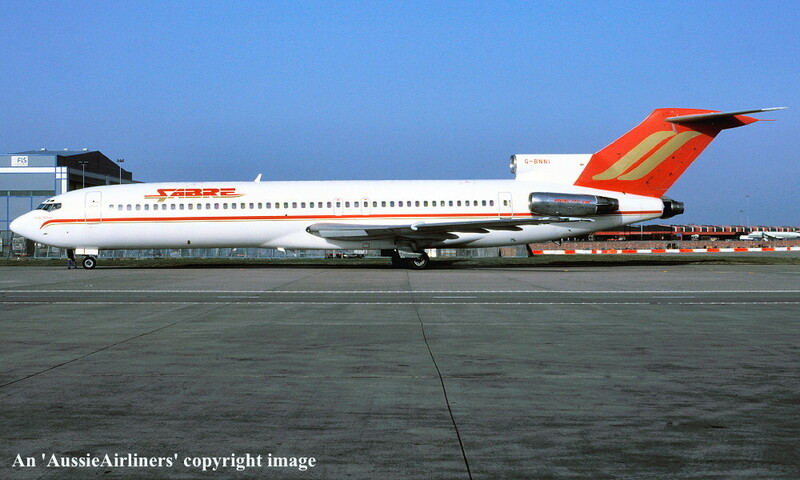 Dan-Air London - in the standard livery at an unknown airport, December 1988. G-BNNI. 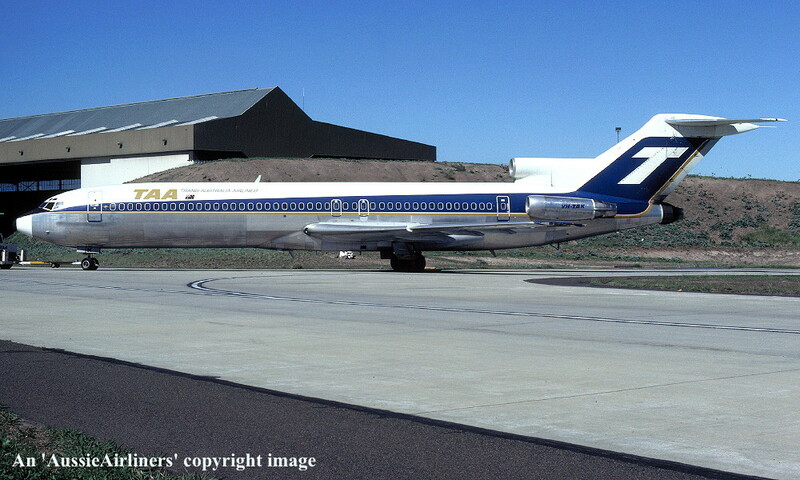 Dan-Air - in the revised livery at an unknown airport, date unknown. G-BNNI. 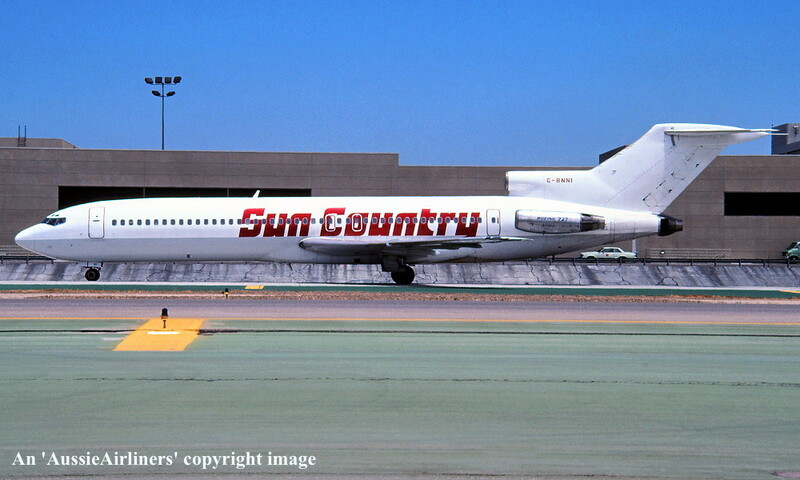 Sun Country - in the all-white livery at Los Angeles Airport, July 1991. 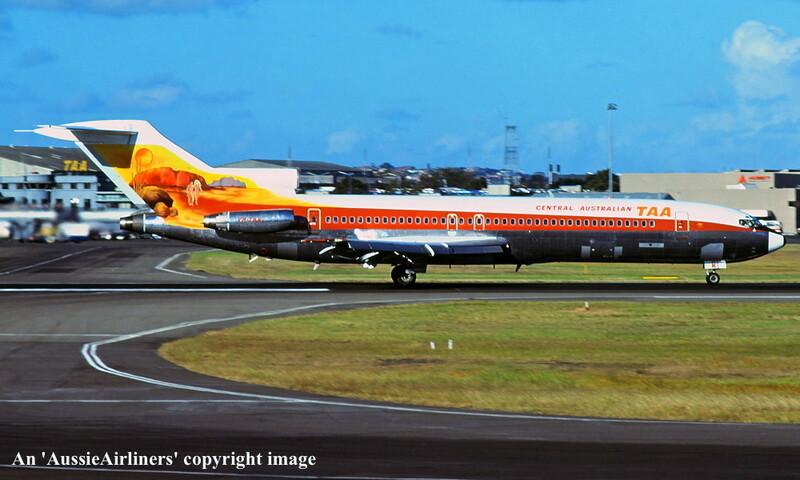 G-BNNI. 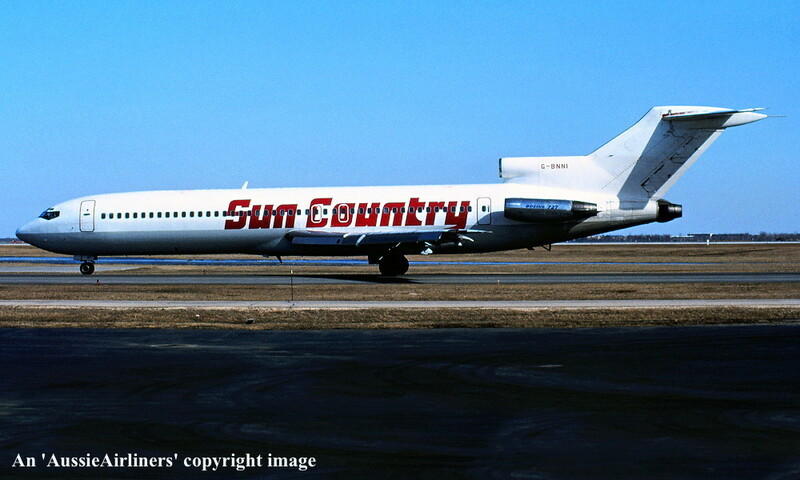 Sun Country - in the all-white livery at an unknown airport, April 1992. 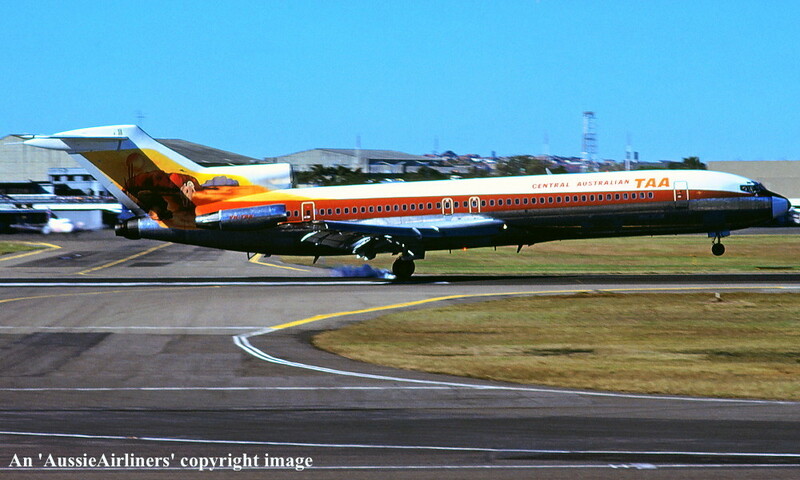 G-BNNI. 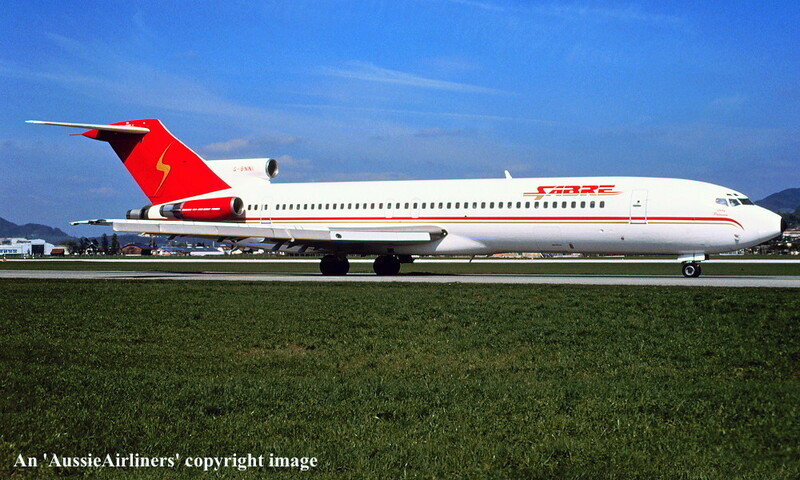 Sabre - 'Lady Patricia' in the standard livery at an unknown airport, May 1995. G-BNNI. 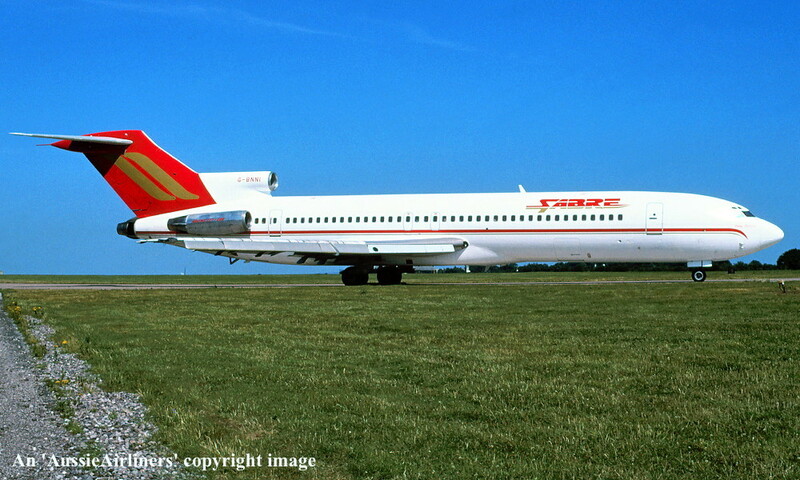 Sabre - 'Lady Patricia' in the standard livery at Lasham Airport, September 1995. G-BNNI. 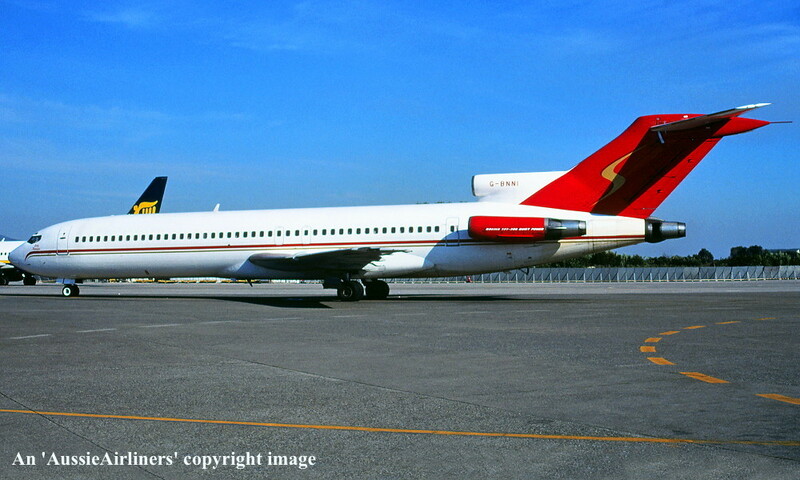 Sabre - 'Lady Patricia' in the standard livery at an unknown airport, February 1996. 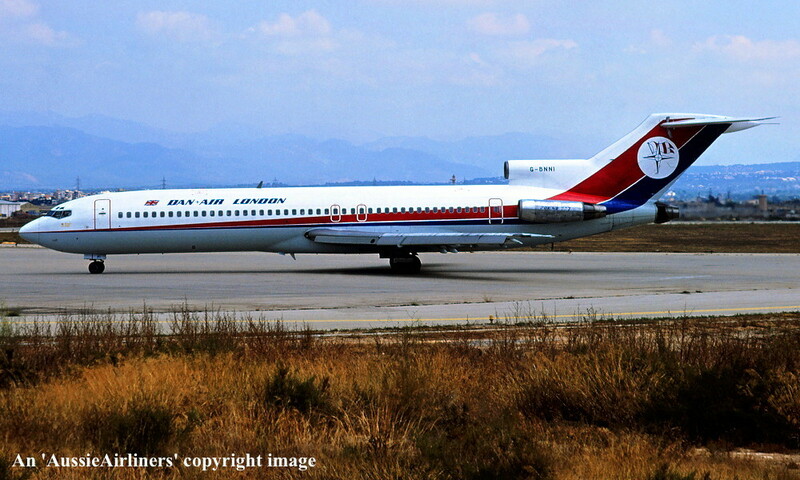 G-BNNI. 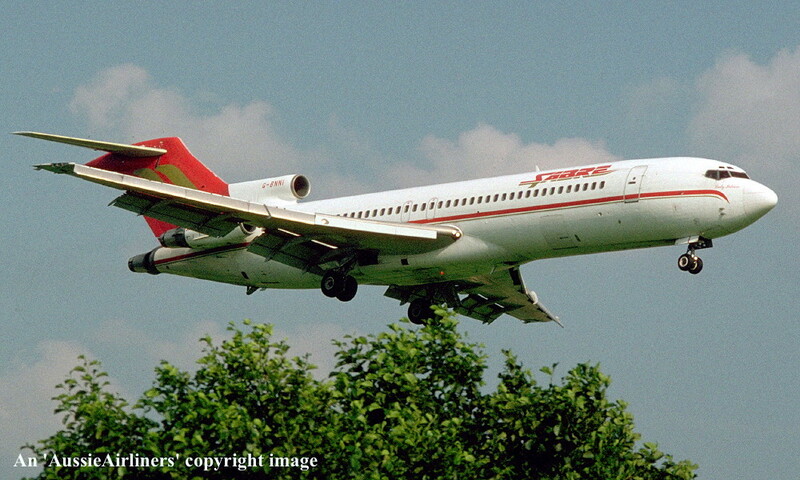 Sabre - 'Lady Patricia' in the standard livery at Manchester Airport, June 1996. G-BNNI. 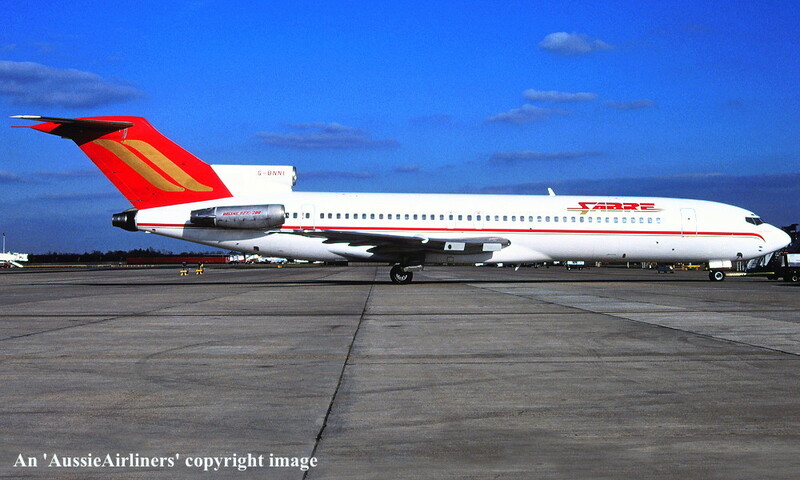 Sabre - 'Lady Patricia' in the standard livery at an unknown airport, April 10, 1999. 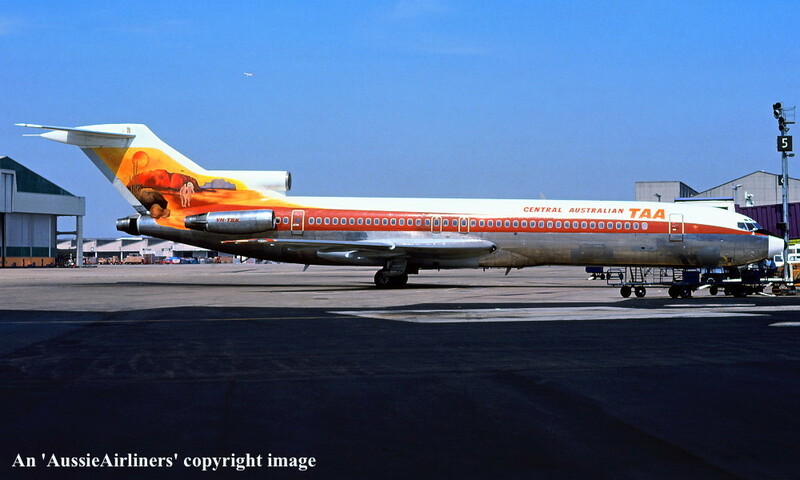 G-BNNI. 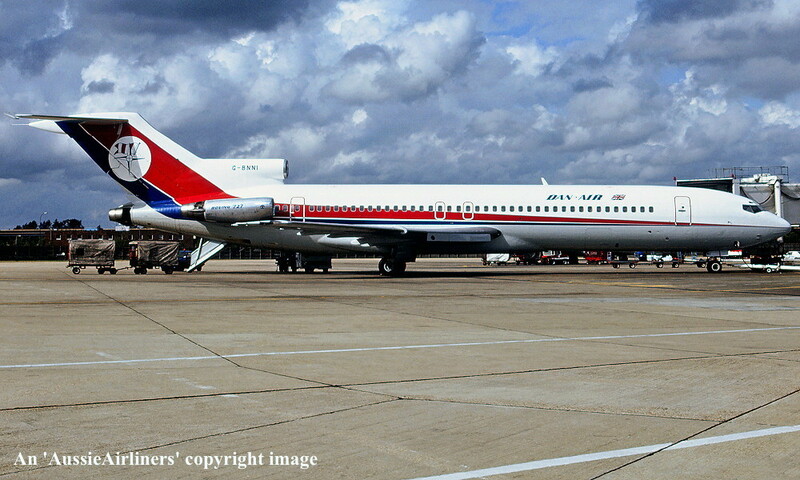 Sabre - 'Lady Patricia' in the basic livery at Southend Airport, September 2000. G-BNNI. 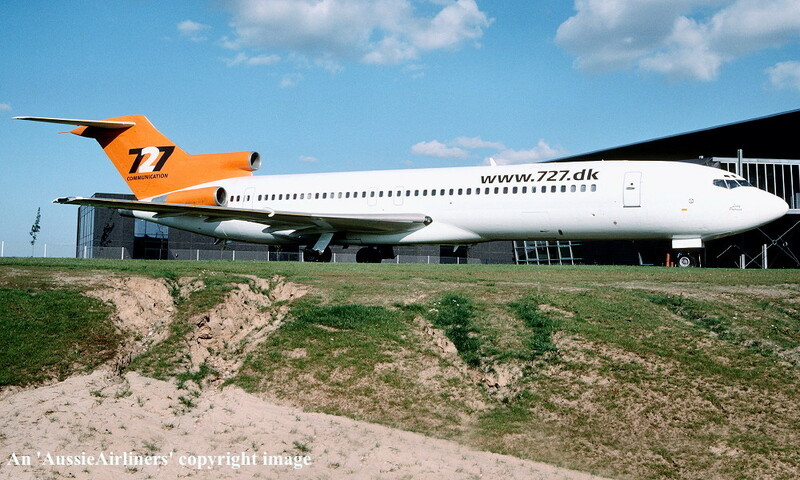 727 Communications - 'Lady Patricia' in the standard livery at Stilling, Denmark, August 2004.